Limits to Growth is the first survey exhibition of Melbourne-based artist, Nicholas Mangan. With a strong research base in both history and science, Mangan's work addresses a range of themes, including the ongoing impacts of colonialism, humanity's relationship with the natural environment, contemporary consumptive cultures and the complex dynamics of the global political economy. The exhibition brings together several key projects (the eldest dating to 2009-10) in conversation with a new commission, Limits to Growth. 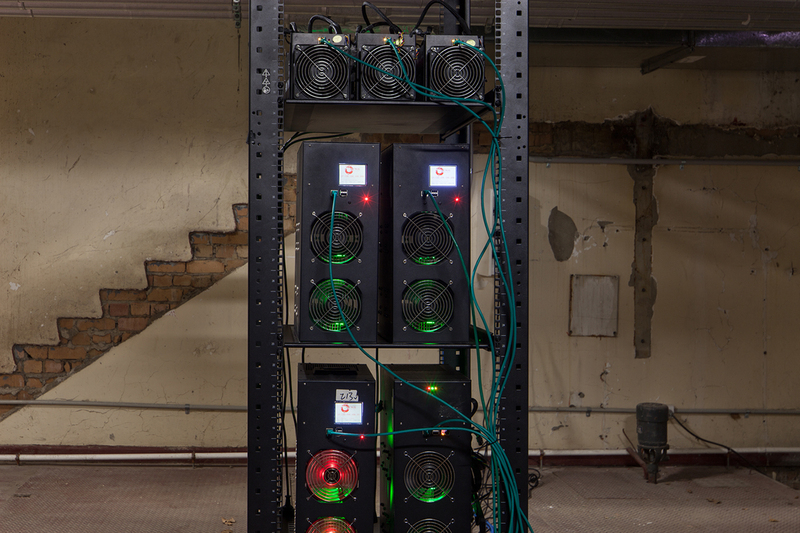 This latest work explores the relationship between two monetary currencies: Rai, large stone coins from the Micronesian island of Yap, and Bitcoin, a digital currency allegedly invented by Satoshi Nakamoto in 2008. Nicholas Mangan: Limits to Growth continues MUMA's much anticipated and celebrated annual survey exhibition series that presents the practices of Australia's most exciting and innovative mid-career artists. The exhibition will be accompanied by a fully illustrated publication designed by Ziga Testen that includes newly commissioned texts by Ana Teixeira Pinto and Helen Hughes, along with an interview between the artist and Barcelona-based curators, Latitudes. The exhibition and publication Nicholas Mangan: Limits to Growth is co-produced by Monash University Museum of Art, Melbourne; Institute of Modern Art, Brisbane; and Kunst-Werke Institute for Contemporary Art, Berlin. The new commission, Limits to Growth (2016) is co-commissioned by Monash University Museum of Art and the Institute of Modern Art, and has been assisted by the Australian Government through the Australia Council, its arts funding and advisory body. MUMA also acknowledges the generous support of Peter Braithwaite and Julie and Gary Grossbard towards this exhibition. Nicholas Mangan has exhibited extensively in Australia and internationally. In 2016 he will present a major survey exhibition at MUMA, Melbourne and the IMA. His recent major installation Other Currents was presented at Artspace, Sydney, 2015 and Ancient Lights at Chisenhale Gallery, London in 2015. Other solo exhibitions include: Some Kinds of Duration, Centre for Contemporary Photography, Melbourne, 2012; Nauru, notes from a cretaceous world, Sutton Gallery, Melbourne, 2010; and Between a Rock and a Hard Place, Art Gallery of New South Wales, Sydney, 2009. Selected group exhibitions: Riddle of the Burial Grounds, Project Arts Centre, Dublin, 2015; Rocks, Stones and Dust, University of Toronto Art Centre, Toronto, 2015; Art in the Age of..., Witte de With, Rotterdam, 2015; and Melbourne Now, National Gallery of Victoria, Melbourne, 2014. He participated in the 2015 New Museum Triennial: Surround Audience, New York; 9th Bienal do Mercosul, Porto Alegre, 2013; and the 13th Istanbul Biennial, 2013. Mangan has been awarded numerous international residencies, including Recollets Artist Residency, Paris, 2011 and Australia Council's New York Green Street Residency, 2006. Nicholas Mangan is represented by Sutton Gallery, Melbourne; LABOR, Mexico City; and Hopkinson Mossman, Auckland. Nicholas Mangan: Limits to growth. Purchase via MUMA shop.